As the Tibetan New Year approaches, Exile leaders warn for possibly drastic measures through Chinese security forces during the celebrations. Upcoming Tibetan New Year's celebrations appear poised to bring more bloodshed to the troubled Himalayan region, the head of Tibet's exile government said Tuesday, warning that China has sealed off the regions ahead of a crackdown. Already facing nearly two dozen self-immolations, many by Buddhist monks and nuns calling for Tibetan freedom and the return of the Dalai Lama, China is sending thousands of extra security forces to Tibetan areas to prepare for expected protests. "They have sealed off Tibet," Lobsang Sangay said during an interview with The Associated Press. He said festivals around the Feb. 22 Tibetan New Year, as well as the March 10 anniversary of the failed 1959 uprising, are very likely to bring Tibetans into the streets. But with the region closed to outsiders — foreign tourists have been ordered to leave and Western reporters are effectively barred — it will be almost impossible to know the reality of the situation. "Chinese security personnel are cracking down on Tibetans for one pretext or another, and the world will not know whether they were arrested, whether they were tortured, whether they were killed," he said in Dharmsala, India, where the Dalai Lama and the exile government are based. Chinese Premier Wen Jiabao on Tuesday defended China's policies on Tibet, saying the government respects traditional culture and freedom of religious belief. He said China has invested heavily in Tibet and will continue to do so. Tibetan areas of western China have faced spiraling unrest in recent months, amid the wave of self-immolations and a series of sometimes-bloody protests. The violence, much of it in Sichuan province, is the worst in Tibetan regions since 2008. The information that does emerge is seldom complete, with few details about the people who have burned themselves alive or the protests. On Monday, a teenage monk set himself on fire in Sichuan's Aba prefecture, according to the London-based International Campaign for Tibet said. The monk was beaten by security forces as they put out the flames, the rights group said. His condition was not known. Beijing has blamed outsiders and extremists for trying to incite violence or undermine China, while Sangay and other Tibetan leaders say the self-immolations reflect an increasingly desperate population unable to express themselves any other way. "You can't have hunger strikes, you can't have demonstrations, you can't write petitions," Sangay said. "Given such repressive policies and actions, Tibetans are pushed to the brink of desperation." "They are thinking that perhaps this form of action will bring some attention to the grievances of the Tibetan people," he said. Beijing accuses the self-proclaimed exile government of seeking to separate Tibet from China. But exiles and the Dalai Lama say they simply want a high degree of autonomy under Chinese rule. 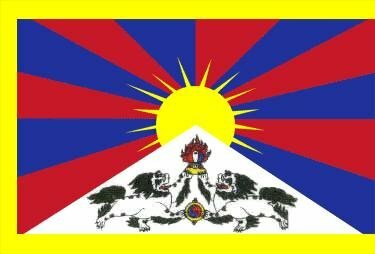 China occupied Tibet in 1950 and claims the region has been part of its territory for centuries, though Tibetans say the Himalayan region was virtually independent for centuries.